He was called ?the 20th century?s first superstar guru? (Los Angeles Times) and today, nearly a century after he arrived in the United States, he?s still the best known and most beloved of all the Indian spiritual teachers who have come to the West. Now, finally, Paramahansa Yogananda has the authoritative biography he deserves. 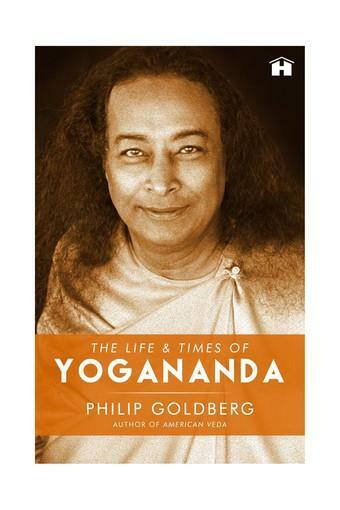 Yogananda, considered by many to be the father of modern yoga, has had an unsurpassed global impact thanks to the durability of his teachings, the institutions he created or inspired and especially his iconic memoir, Autobiography of a Yogi. Since its publication in 1946, that book has sold millions of copies and changed millions of lives. But it doesn?t tell the whole story. Much of Yogananda?s seminal text is devoted to tales about other people and it largely overlooks the three vital decades he spent living, working and teaching in America. Huge chunks of his life?challenges, controversies and crises, triumphs, relationships and formative experiences?remain unknown to even his most ardent devotees. In this captivating biography, scholar and teacher Philip Goldberg fills the gaps, charting a journey that spanned six decades, two hemispheres, two world wars and unprecedented social changes. The result is an objective, thoroughly researched account of Yogananda?s remarkable life in all its detail, nuance and complex humanity. But this is more than a compelling life story. ?Yogananda would, I believe, want any book about him to not only inform but transform,? Goldberg writes. ?It is my hope that readers will be enriched, expanded and deepened by this humble offering. ? That is sure to be the case for both Yogananda enthusiasts and those who discover him for the first time in these illuminating pages.